Trying to decide what to post, what to say and how often to do it can be a challenge. First of all we have the obvious time constraints. We can’t spare the time to sit at our computer all day to find the most insightful article to re-post. It is also unrealistic to be able to put a comment on every post that is published by our network. If we wait to find the perfect post to share, or for our creative juices to allow us to post a comment that will create AHA! moments in our network, we are likely to hardly post anything at all. At the other end of the scale, posting can be completely automated or outsourced. It is possible to create a website that will auto-populate with articles published by online press release sites. These sites welcome the sharing of their posts as attribution links are published too. Software can also be used to publish these posts onto social media automatically. If you wanted to, you could post every minute of every day all year round… Automatically! We can also hire social media managers who can pretend to be us, or part of our ‘press team’ and spend all day long following/un-following, commenting and liking. There are upsides and downsides to both of these extremes. Posting only when we have something insightful, original, and potentially industry changing has the benefit of showing complete authenticity and brand integrity. The downside is that it is unlikely that you will ever build much of a community on social media. Posting too often can annoy people and cause them to un-follow you. Posting irrelevant content can be construed as spam. If this continues then followers might also start to get an negative impression of your company. Auto-posting or having an outside social media manager comment for you might lead to postings that contradict your message, or even openly criticize a competitor. On the positive side, this is how social media accounts grow, regular posting leads to regular likes, comments and shares, and an opportunity for your message to go viral. Some of these viral messages may be articles from different companies entirely. (Messages that are also suitable for your audience). For most of us, the majority of things that we post on social media will be a compromise. Not every thought will be groundbreaking, or even original. In fact if you have a truly groundbreaking original idea a few times in your lifetime you could become very successful if you turn them into action. The big questions are, what should we post, and how often should we do it? The content of the posts, whether these consist of a company announcement from you, or a re-posted article from someone else, should be potentially relevant and interesting. If your company creates CAD software for drilling plans, and you decide that this is the only thing that you want to post about online, it is likely that you will struggle to find much to post or talk about on social media. You are niche-ing down too much. Also, you will be ‘preaching to the converted’ too much if you are only networking with exactly the same types of people as you. Where will the new customers come from? There has to be an element of breadth in your postings. If you were to post get rich quick or weight loss articles then you are clearly spamming. If you ask yourself, what else might my target audience be interested in? Then you are moving in the right direction. If you want to find companies who might buy your CAD software, what else might the decision makers be interested in? There will be plenty of others that someone more familiar with this section of the industry can add, but these are examples. During an industry boom or crash, almost everyone will be interested in hiring trends and the price of oil. These are macro events that affect everyone. If you can find positive, intelligently written articles about any topic that your audience might like to read about, over time your company will be associated with the emotions of positivity and helpfulness. When they are in the market for what you have to offer, your company will come to mind. If you only publish your own company news when it happens, the news will not be noticed if you only have 100 followers, in comparison to the 1000 that you might gain in the same time period by publishing a steady flow of relevant, positive and helpful posts. Most people log onto social media infrequently, the miss the majority of posts in the feed. Most people scroll and scan through their news feed, most posts are overlooked unless there is a particularly catchy headline or image. The most insightful post in the world might not be identified as such by the average person scrolling. Social media companies have algorithms that limit the number of your followers having your post in their feed. Over time, all of the social media companies are reducing this percentage, and increasing the percentage of advertising or ‘sponsored posts’. The main reason why most people will not see most of your posts most of the time is because of the nature of social media. Have you heard the list of news called a stream? It is called a stream for a reason. It is because the posts float by towards the ocean of old news. There is a river that you love to walk alongside, the nature and surroundings are so peaceful. The walk along the river becomes a romantic venture when one day you walk past the most captivating and physically stunning person. You find yourself thinking about them but do not see them again. 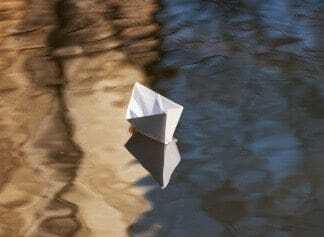 You decide that every 2 weeks, you will write a love letter and craft it into a paper boat. This boat is then lovingly launched upstream, in the hope that your future partner sees it in the flow, and decides to grab it and open it.